Ready? Clicking on each link will take you to the original blog post where you'll find more information about each project. 1. 'Twiz the Season Treat Jar. 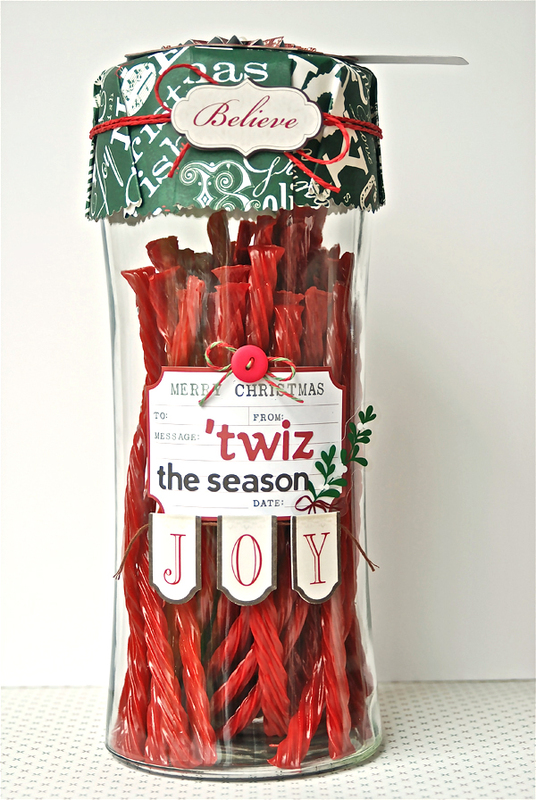 Transform a lidded glass jar into a super cute gift featuring Twizzlers red licorice sticks and a clever saying to go along with it. 2. Clothespin Holiday Card Holder. 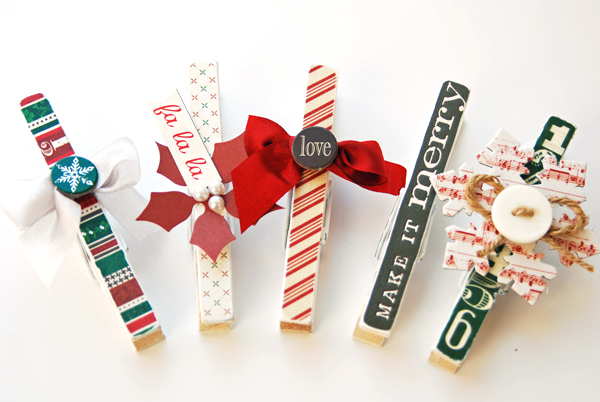 Cover clothespins with patterned paper, embellish, then clip onto a length of wide ribbon for a festive and unique way to display your holiday cards. 3. 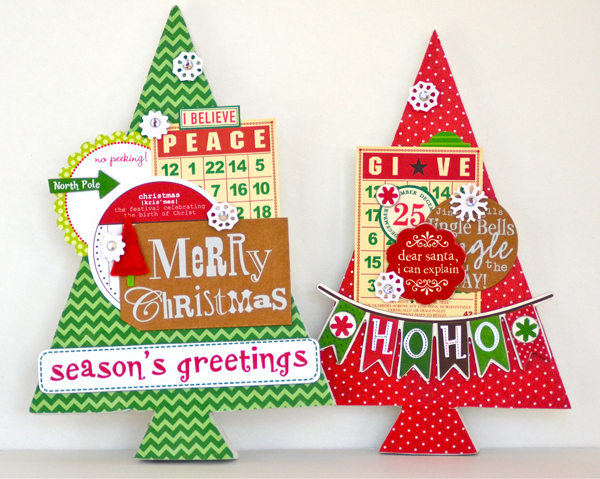 Holly Jolly Wooden Christmas Trees. 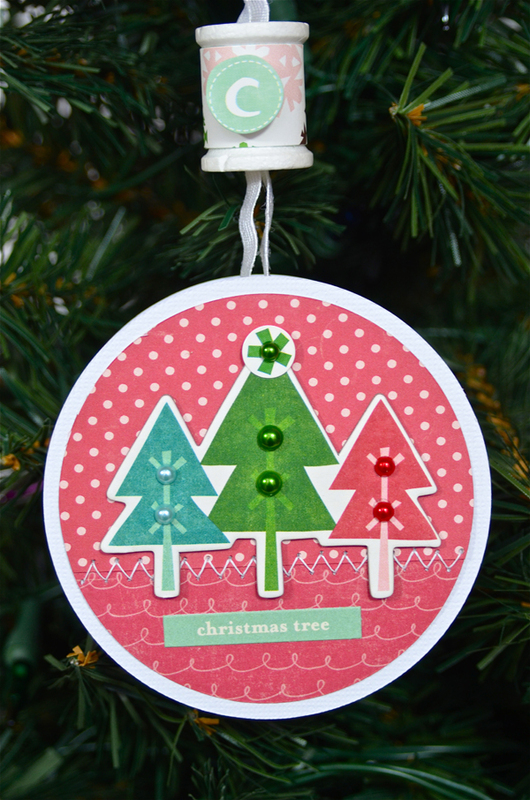 Cover wooden tree shapes (or chipboard) with patterned paper and embellishments to create festive home decor. 4. Bitty Christmas Cards/Gift Tags. 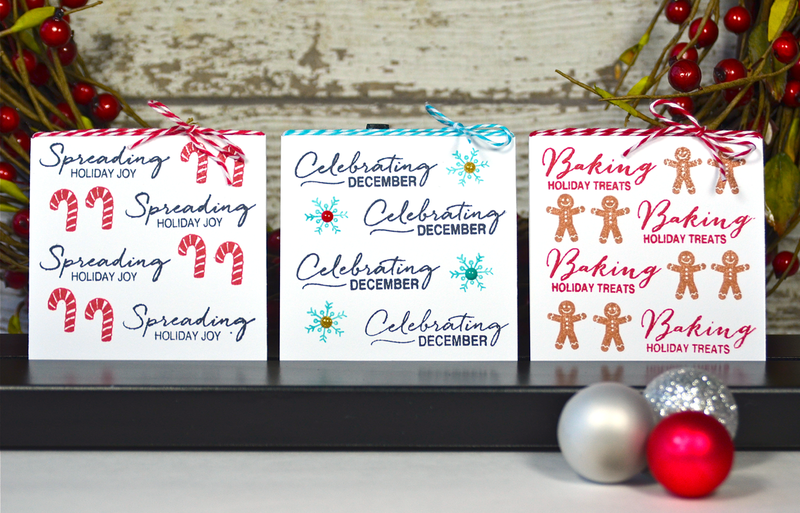 These 3x3 cuties are stamped and tied with twine for use as a holiday card or gift tag. 5. Merry and Bright Holiday Clothespins. This is the merry and bright version of the traditional clothespins shown above. 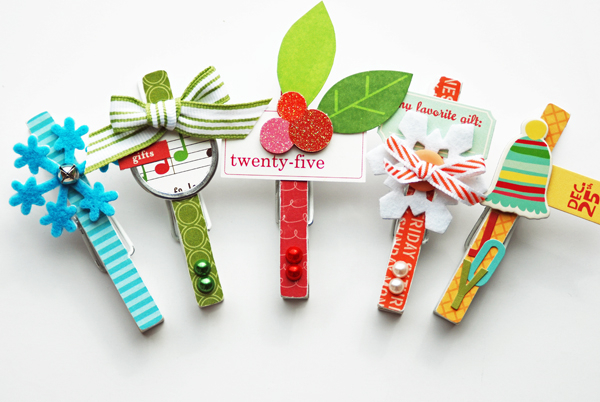 How cute would these be clipped onto gifts? 6. Embellished Wreath. 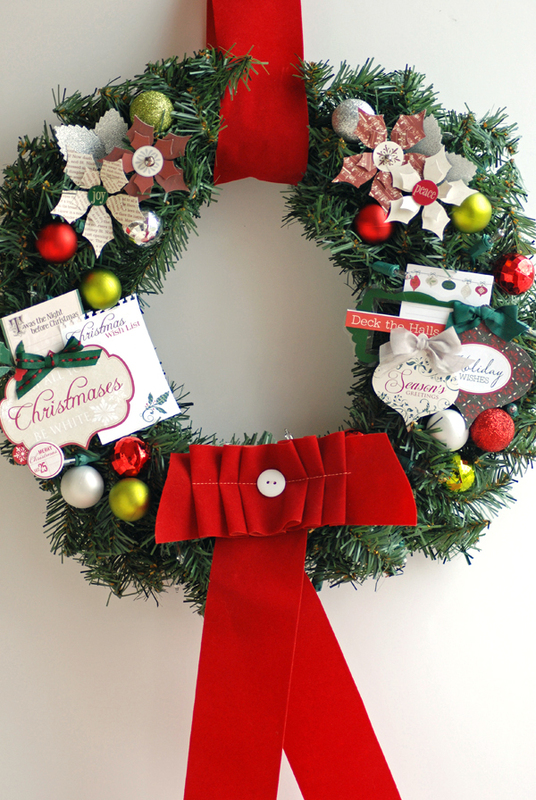 Freshen up a plain wreath with die cuts, chipboard, journaling cards, and small ball ornaments. 7. Ribbon Spool Ornaments. 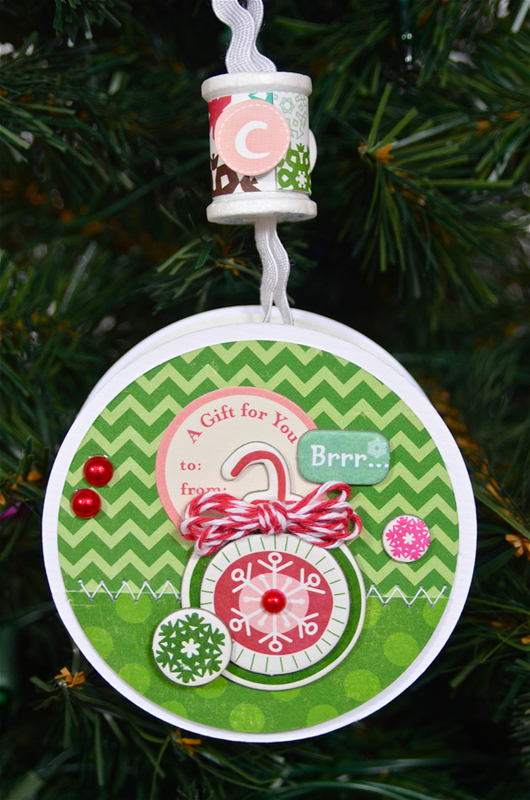 Upcycle empty ribbon spool packaging to create fun holiday ornaments. Decorate both sides so you have two designs to choose from and display. 8. Santa's Belly Box Packaging. 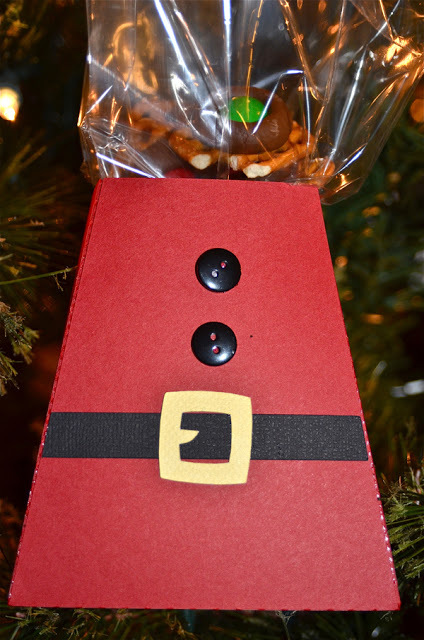 Use your die cutting machine to create fun treat packaging, like this box designed to look like Santa's belted belly. 9. Just Believe Gift Box. Decorate a store-bought gift box with stickers and other embellishments. Tie it all off with a festive bow. Fill with treats, a scarf, a pair of fuzzy socks, jewelry or a gift card and you have a quick and easy gift. 10. 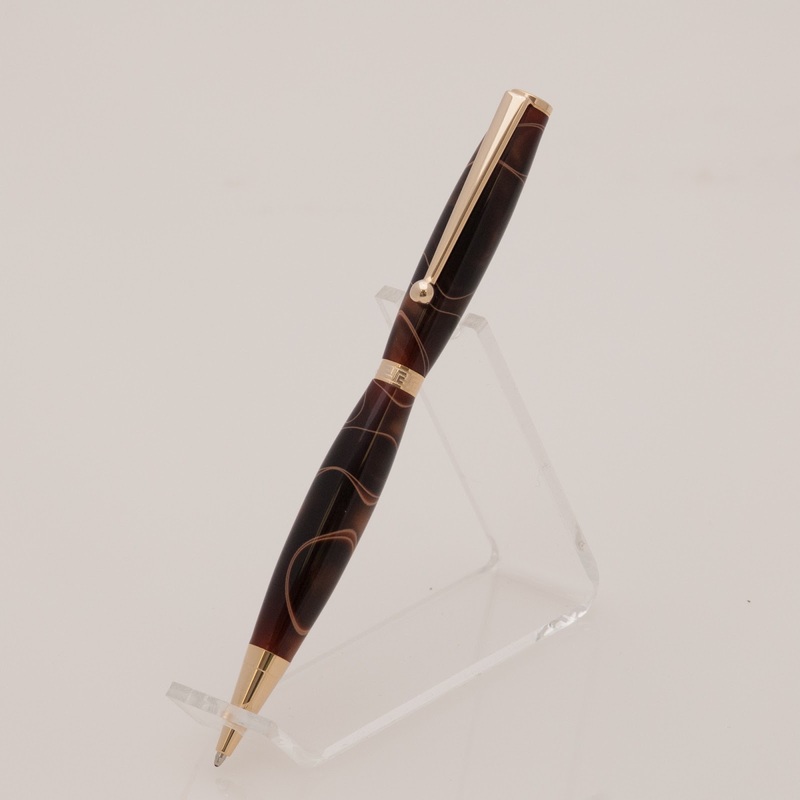 Last, but not least, I'd like to share the news that my hubby has taken his wood working hobby to a new level and opened an Etsy shop called First Class Pens. He hand crafts and hand turns gorgeous pens from wood, acrylic and stone. I'd love it if you'd stop by and "favorite" his shop. 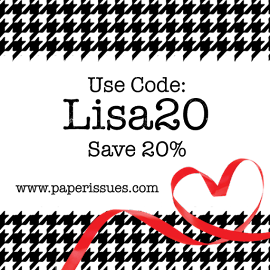 He's offering my blog readers a 10% discount on all orders placed by 12/18/14, using the code HOLIDAY10. Oh my goodness, what a line-up! You (and Tom) do such gorgeous work. Love them all!! The twiz is still one of my favorites!!!! Great ideas ! Your husband is very talented too ! Amazing gift ideas! Love the twiz one!! Love love love love them all!!!!! And your husband's pen is AMAZING!!!! Off to favorite his shop!!!! Your husbands pens are gorgeous…such quality. These are awesome projects, Lisa! I really love the cute altered clothespins! !